Pure white shade with gloss finish for brilliance. Acid-free and archival quality. Electronic printing guaranteed. Size: 17 x 11; Paper Color(s): Pure White; Paper Weight: 32 lb; Sheets Per Unit: 500. Color copy gloss cover paper is acid-free and compatible with laser printers and high-speed copiers. Guaranteed to run on laser printers and high-speed copiers. 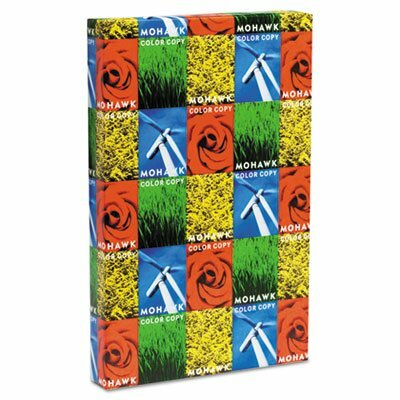 If you have any questions about this product by Mohawk Home, contact us by completing and submitting the form below. If you are looking for a specif part number, please include it with your message.